1. Argue with appliance 3X. Can use same appliance, different sims. 3. Start rival story. I was able to use a moved out adult I had never made playable. First person I could find that I didn't have a story with already. Last edited by mockingbird288z on 09 Aug 2018, 20:01, edited 1 time in total. Thanks for starting the topic! I have updated the task list in your post. The competitive eating event is a 4 hour one. I've got three sims doing relationship events and 1 sim doing the competitive eating so I don't know how long the Competitive Spirit event is. Well darn, I was working on a long post quoting mine at same time, and it dropped! The Competitive Eating can be started early if you are careful not to complete too soon. It resets in 8 hours. The Competitive Spirit at home is about 6 hours. It also can be started early. It has a 20 hour reset, so you don't want to mess up and complete that one early! If you are at top of your career with all sims, you have to change to a new career. If it's one the sim has done before, their level is saved, so it's best to choose an entirely new career, if possible. 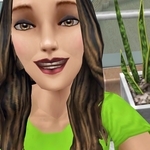 Folks with only as many careers as they have sims can't complete the quest unless they kill off a sim and start the new one in t if e now vacated career. Total bummer. But they can still do the events and earn tokens to spin for prizes. You can rename topic if you want. I think it another name: Summer Throwdown League. I'm not spending any of my tokens on spins (except the ones for the tutorial) until I see if any are needed for a quest task. I seem to be getting tokens more often (maybe every time? )for every day tasks like working and socializing. Haven't tried hobby yet. But I see a spin costs 250 tokens. Wasn't it 50 in past event? Nope, you don't get tokens (ribbons for this event) with each workshift completed. I didn't even do the tutorial - I ignored it's prompt to buy a chest thing and eventually it went away. It's been both 50 and 250. The Hot Tub and World of Luxury events were 50 while the Summer Backyard event was 250. But I think it all evens out because the amount of tokens from the quest tasks and events are increased when the tokens for the chest are higher. For example the quest tasks for the Hot Tub event gave 20 duckies and the quest tasks for the World of Luxury event gave 15. While the quest tasks for the Summer Backyard event gave 220 tokens and the quests for this event give up to 480 tokens. #12 earn sim tickets seems to only count green sim tickets. And I swear about half the relationship events I've done so far have given me all rewards but the green sim tickets. By the way, I hate all the random chance elements of the game. For example, that rewards listed for relationship, work and hobby shifts say "possible rewards" and they really mean it too. I noticed before you don't always get the full simolean reward. That's strange. It counted blue and luxe tickets for me. I had two parties that were over and had reached level 10. I had forgotten to collect the rewards but I did once I got to this task and all the tickets from the party rewards counted. Yes, the random chance to the event rewards is really annoying. Although, I've always gotten the full simoleon reward.